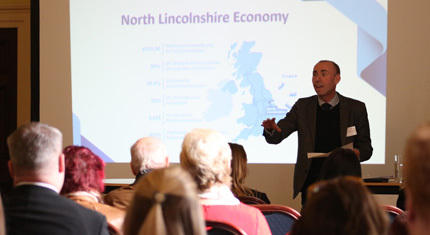 Tourism businesses from across North Lincolnshire came together at Normanby Hall on Friday 8 March to launch a new partnership aimed at boosting the area’s tourism. The North Lincolnshire Tourism Partnership aims to grow the visitor economy, enhance the visitor experience and maximise visitor numbers, increasing spend and the number of overnight stays in the area. Tourism and visitors to North Lincolnshire generated around £180m for the local economy in 2017, and the sector supports 2,300 jobs on average. The aim of the partnership is to work across the area and continue to grow this sector. Over 60 local businesses attended the event to find out more and join the Partnership, with around a dozen signing-up there and then. Cllr Elaine Marper, cabinet member responsible for tourism on North Lincolnshire Council, said: “The Tourism Partnership will support the visitor sector in North Lincolnshire and help our local businesses reach their full potential. Tourism is one of the fastest growing sectors in the UK, and the Partnership will provide the right conditions to support that growth in North Lincolnshire.